Veteran journalist Jeff Koinange is known as a man who cruises around in a Mercedes Benz G wagon. The car, priced at 12 millions, always steals the show with it’s looks and comfort. This time round, however, the Hot 96 breakfast show presenter opted to go to work in something less comfier: A horse. 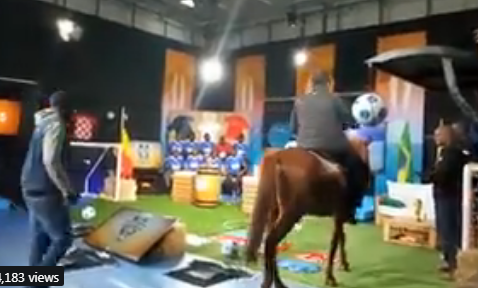 During a guest appearance at the World Cup Barn Show on Citizen TV, Koinange rode a horse to the studio leaving many stunned including Mwiki FC which was present on set. 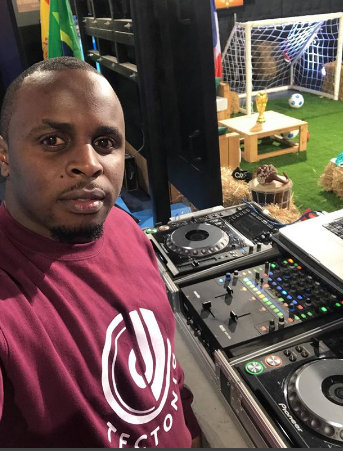 The ban, which has studio set up to be like a real ban has fodder hay, artificial grass turf, wooden barrels, and wooden packaging boxes in its decor, a reason why Jeff opted to go with the horse.